This breathtaking four bedroom lateral apartment offers a truly amazing living room and dining room, lovely balcony and contemporary fittings throughout. Key features of this apartment including outstanding four bedroom lateral flat, recently refurbished to an exceptional standard, offers direct lift access,fully fitted modern kitchen with space to dine. Please feel free to contact our consultant. 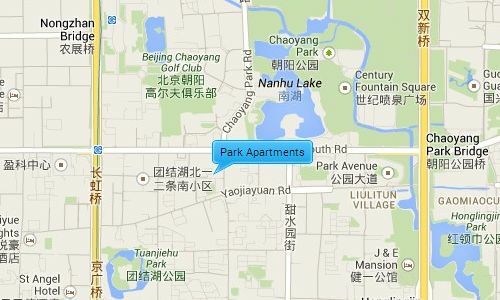 Park Apartment is opposite the west side of Chaoyang Park (Beijing’s largest park). It is between the 3rd and the 4th ring road giving it easy access to some of Beijing’s main destinations like city airport, as well as being next to a major embassy district. It is also close to three big expat areas Lufthansa, CBD and Sanlitun, where residents have access to a vast range of restaurants, shopping malls, supermarkets, health centers and a buzzing night life.